This is the time each year that people take stock of their personal and professional lives, and cast an optimistic eye toward the new year and the improvements they plan to make. It’s like an annual ritual that, for too many, remains just that. There is rarely enough punch behind the promise. But we think there are realistic goals for the new year that we can help you achieve — and they will make a big difference for your reputation and bottom line. 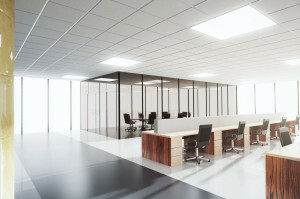 By making a commitment to professional cleaning at commercial facilities, you can impress clients and employees alike, while elevating your professional stature to unchartered levels. Our specialty is the comprehensive nature of our services. By partnering with System4, you can avoid the hassle of juggling a group of maintenance contractors — because we do it all! We are a single-stop clearinghouse for all of your facilities management services, from regular interior cleaning to big exterior projects. When your buildings truly shine, it reflects on your brand. Employees will be even more proud of their roles in a professionally manicured setting. And, studies reveal, a spotless and organized work environment helps boost workforce productivity. Consider that your physical investment will have a psychological payoff. At the same time, customers and clients will notice the upgrades our professional maintenance services guarantee. So don’t make a hollow resolution for 2019 — contact us for a free consultation and do yourself a solid!